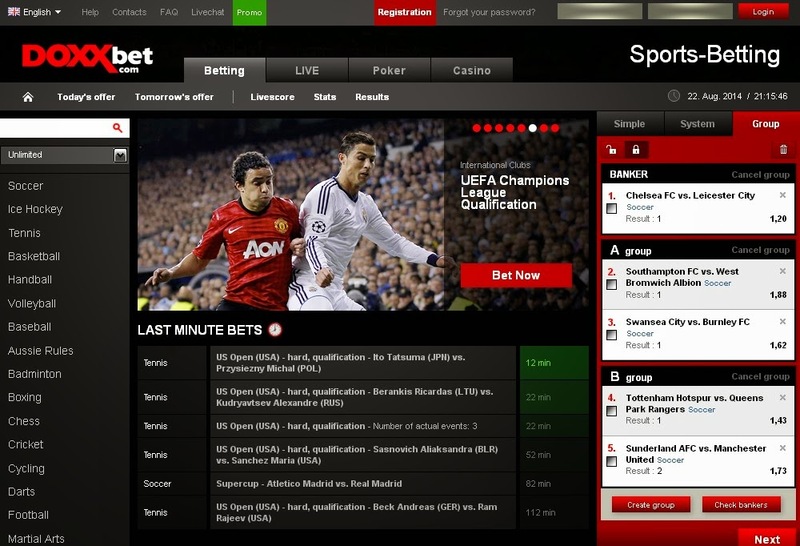 About Sportsbook DOXXbet started as a chain of betting shops in Slovakia in 1994. They entered online betting in 2007 when they gained license for international operations, and are now fully licensed bookmaker regulated by Lotteries and Gaming Authority of Malta. The DOXXbet website is available in eleven different languages and is a very professional offering. When visiting the homepage, you are greeted by a nice clean layout which features all the available sports in a left-hand menu and the option to view the sports where there’s an event starting within certain periods of time. The bet slip is well structured so you can select from Simple, System and Group depending on what type of bet you want to place, with the slip and the live betting calendar staying with you on every page and even when you scroll down. 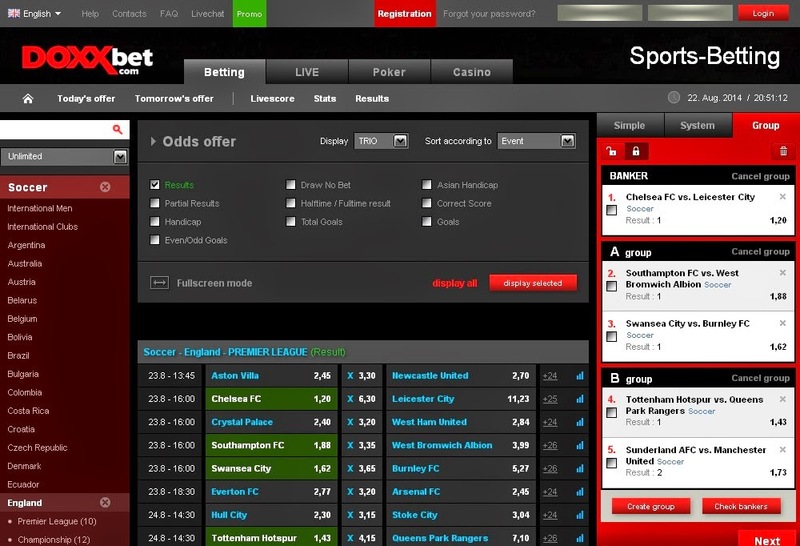 The online bookmaker DOXXBet offers live betting on major sporting events from around the world. 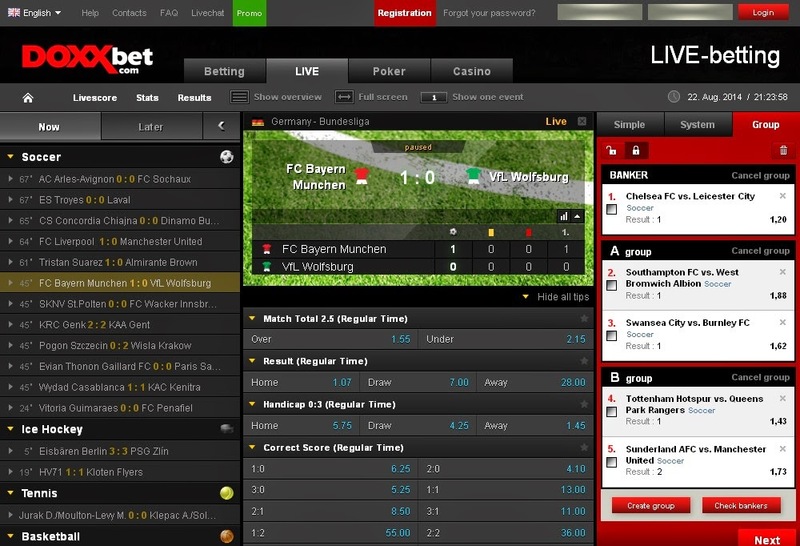 Also offered are live scores, live statistics and live results to help punters make better bets. DOXXbet offers all new registered players a welcome Bonus of €150.